The Met Police releases a series of dramatic videos showing officers ramming moped-riding criminals from their stolen bikes, a new tactic that has helped see a 38% reduction in moped theft. 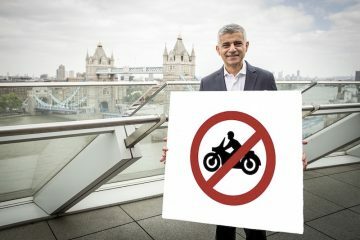 London’s Metropolitan Police has released video footage showing they are using tactical stop – blocking manoeuvres, including ramming – to stop criminals riding motorcycles, even if the rider is not wearing a helmet. 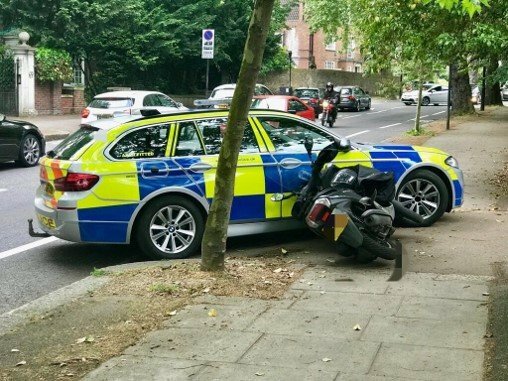 In a clear message to motorcycle thieves and other criminals riding stolen motorcycles and quad bikes, the force says moped and motorcycle criminals will be targeted “at every opportunity”, even when they ride dangerously, discard their helmets and disguise themselves, the head of the Met’s Operation Venice Team has said. 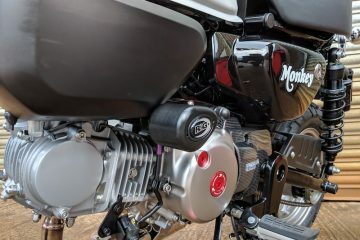 In a press release publishing new figures of the numbers of mopeds used in crimes, the Met also outlined other tactics being used, including the use of stinger tyre deflation devices and DNA forensic tagging spray. The spray can be used to associate criminals with the scene of a crime. As a result of a significant effort against moped-riding criminals, the Met Operation Venice team claims that there has been a major reduction in both moped crime and the number of motorcycles stolen for use in crimes. Latest year-on-year figures for moped crime show that in January 2017 to October 2017 there were 19,455 offences across London compared to January 2018 to October 2018 when there were 12,419 offences (7,036 fewer offences) – a reduction of 44 per cent. Latest year-on-year figures for theft of mopeds show that in January 2017 to October 2017 there were 12,192 offences across London compared to January 2018 to October 2018 when there were 8,261 offences (3,931 fewer offences) – a reduction of 38 per cent. Commander Amanda Pearson of Frontline Policing, said: “Operation Venice can call on all manner of tactics from an experienced investigation team to police helicopters to tackle and arrest offenders. 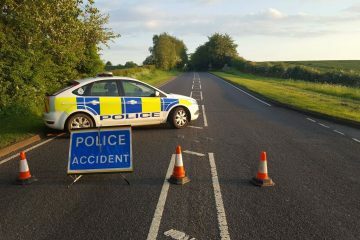 “There is a perception that if you remove your helmet or fail to stop for police when requested to do so we will not take any further course of action. This is untrue.” This message is also being reinforced in individual tweets put out by tactical teams across London’s policing areas.